Organic beauty products are becoming more and more popular, and it’s easy to see why. Ethical brands provide the same high-quality nail varnish, lip gloss and mascara as some of our favourite make-up artist brands but are significantly better for your skin. A lot of them use organic substitutes for harmful chemicals which can be harsh and severe on your body, leaving you dried out. Plus, many of the organic brands, thanks to their lack of chemicals, are significantly better for the environment because they use less energy to create toxic ingredients. Here’s our breakdown of some of the best organic brands to invest in so that you can look and feel beautiful whilst also protecting yourself and the environment. No nail polish brand is completely organic, because to get the popping colours you see on the runway you undoubtedly need to use synthetic dyes and pigments. There are, however, definitely some brands that are better than others. Orly, for example, is an LA based company that specialises in on-trend nail lacquers. What is special about Orly is that they don’t include DBP, formaldehyde and toluene in their ingredients, which means that the polish will nourish and protect your nails. We love the Orly polish in Sheer Peche: contrast the delicate shade with a rough and ready suede ensemble to look fresh off the runway. Lily Lolo is making big waves in the beauty industry thanks to their long-lasting and natural mineral formula. They use pure crushed minerals in all of their beauty products, avoiding dyes, fillers and chemicals to make sure that your make-up looks natural and is gentle on your skin. Additionally, Lily Lolo adds zinc oxide to their make-up which is a healing and nourishing agent so that damaged skin can be repaired. Your lips are some of the most sensitive areas of skin on your body, so you have to make sure that they are kept protected and nurtured. This you can do with Lily Lolo’s fabulous lip gloss collection. The Scandalips shade is definitely our favourite, which you can use to add a dramatic splash of colour to an all-black or androgynous look. Shop these styles at “http://www.maryjanefashion.com/”. Benecos is a fantastic and truly unique beauty company, providing us not only with high-quality organic make-up but with some products in their collection that are vegan-friendly. 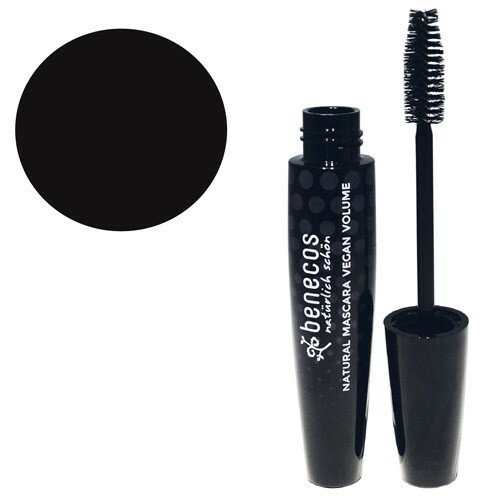 Our favourite Benecos product is definitely their mascara, which is suitable for vegans. Their secret ingredient?Organic jojoba oil and vitamin E. As a result of this formula, that uses primarily natural elements, the mascara is suitable for people who have sensitive eyes or who experience irritation. The mascara provides a smooth finish, is nourishing and helps your lashes to stand out with knock-out length; the same as all the other mainstream commercial brands but without the damage to your face and without using animals in any way. Wear the mascara for everyday with chunky knits and jeans or for maximum volume when out on the town. Elizabeth Harper is the fashion editor and content writer at Mary Jane Fashion. Charu, I have been going more and more with organic products myself, they are so much better for your face and skin… I have not seen the nail polish you write about here but I should look it up, I love color. I shellac my nails now but I don't think it is good to do all the time, it takes quite a bit to remove it and my nails look pretty dried out… might be time to take a break and try some better polish for a while. Never heard of these brands but sure I will check them out. It's a really amazing review. Thanks to share it. My fav the lips color!